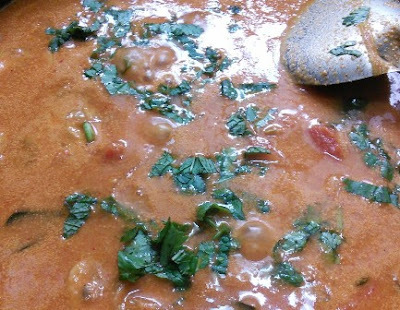 This is a simple kurma with button mushrooms in a creamy coconut gravy which can be easily done within 20 minutes.This kurma goes very well with dosa, chapathi and poori. You can customize this kurma according to your taste preference. The fennel seeds, cloves and cinnamon are a must and you can also include other spices like bay leaf, star aniseed or cardamom depending on your cuisine. A simple kurma with button mushrooms in a creamy coconut gravy which can be easily done within 20 minutes. Wash the mushrooms gently. Then slice the mushrooms. Slice the onions and the tomatoes. Slit the green chillies. 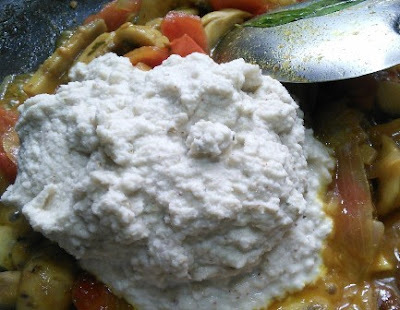 Grind the coconut, fried gram and fennel seeds to a smooth paste. Heat oil in a kadai and add the cinnamon and cloves. Then add the onions and saute them on low heat. When the onions turn golden brown, add the green chillies and ginger garlic paste. 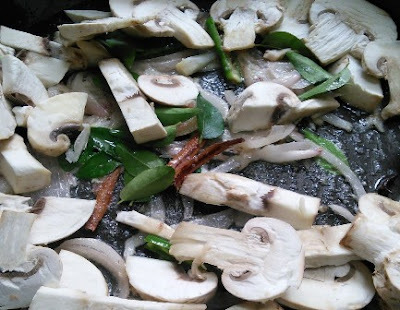 Next add the mushrooms and curry leaves. Stir and saute them well. 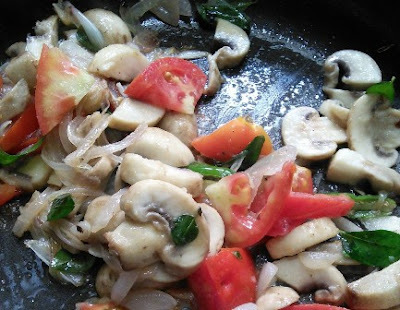 When the mushrooms are lightly cooked, add in the tomatoes. Saute for about 3 minutes. Next, add the ground coconut paste. Give it another stir and add 1 to 1.5 cups water. 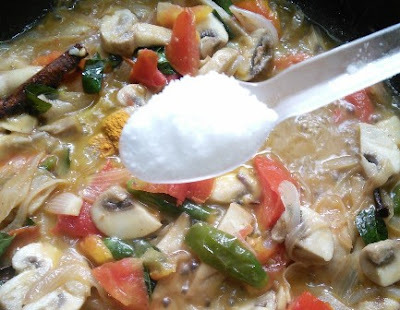 Bring it to a boil and add the required salt, turmeric powder, red chilly powder and garam masala powder. Mix them well and then simmer for about minutes. Turn off the heat and add the chopped coriander leaves and mint leaves. Heat oil in a kadai and add the cinnamon and cloves. Then add the onions. 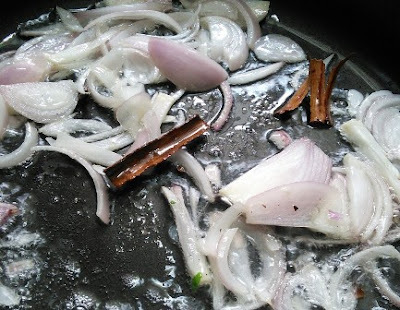 When the onions turn golden brown, add the ginger garlic paste and the green chilly. Saute them well until the raw smell of the ginger garlic disappears. Next, add the mushrooms and the curry leaves. Stir the mushrooms well for a few minutes. When the mushrooms are lightly cooked, add in the tomatoes. Saute for abot 3 minutes. 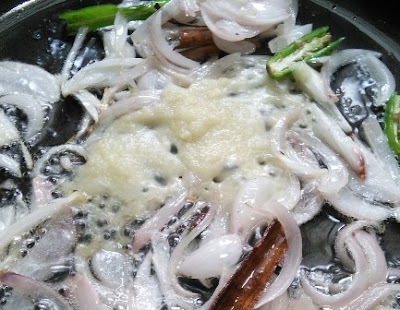 In the meantime, grind the coconuts, fried gram and fennel seeds smoothly. 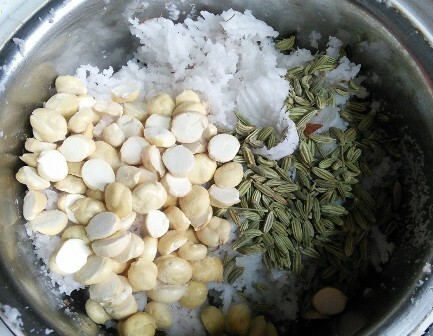 (You can also other spices like star aniseed, cardamom or mace). Now add this ground paste. Mix them well and add the turmeric powder and the required salt. Give it another stir and add 1 to 1.5 cups water. 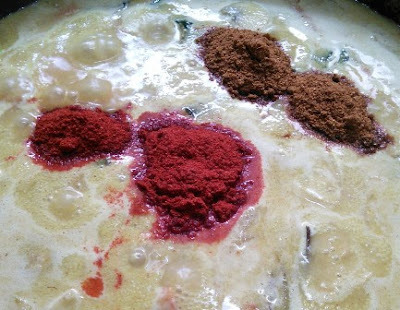 Bring it to a boil and add the red chilly powder and the garam masala powder. Mix them well and then simmer for about 7 minutes. When the kurma boils well, turn off the heat and add the chopped coriander leaves and 4 mint leaves. 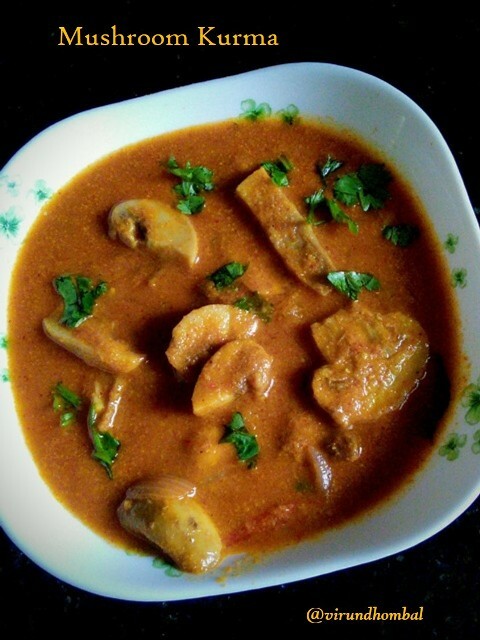 If you try this recipe for Mushroom kurma send us your comments below and share the recipe for your friends and family.